Hey there, idol fans! Welcome to our third edition of Group of the Month. This month's featured group is none other than SUPER★DRAGON! If you missed it, check out last month's group -- M!LK -- here and to be the first to know about next month's group as well as all of the latest news in the world of Jpop boy groups be sure to subscribe to the Dansei Idol Girl newsletter. Feel free to let me know in the comments any groups you'd like to be featured in upcoming months but without further ado, let's get started! 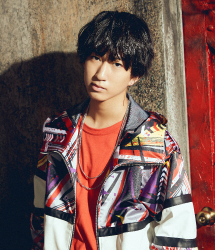 SUPER★DRAGON (also called "Supadora" for short) is a 9-member EBiDAN group that made their performance debut in 2015 with the song "Hack My Choice". Their CD debut though, wasn't until 2016 with the single "Pendulum Beat! 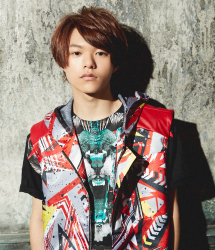 ", the title track being used as the opening song for the anime "Yu-Gi-Oh! Arc-V". The group was based around the concept of a fusion between rock, dubstep, and rap and influence from these genres and more can be found in their music. The group is split up into two subgroups; FIRE DRAGON which is the four oldest members and THUNDER DRAGON which is the five youngest members. "BAD BOY", the first music video the group released. The oldest member but is very loud and likes to mess around. He often gets told off by those younger than him, haha. The best dancer in the group. Probably gets picked on the most by the other members. The lead singer of the group. In the group's earlier songs he was the only one who sang any solo lines. 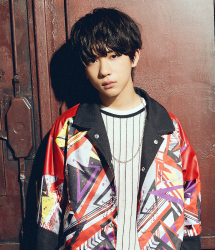 He's the best singer in the group and probably one of the best singers in the whole of EBiDAN too. Takes performing very seriously. Sometimes his voice can sound a little strained in concerts because he's probably pushing himself a bit too hard, bless him! The main rapper of the group. He has a very cool, bad boy kind of vibe to him. He has a very unusual (and pretty weird if I'm honest) fashion sense. No-one really understands his fashion choices apart from him, haha. Sweet and caring older brother of the group. A little awkward and dorky. He's a self-proclaimed train otaku. Seems very positive and easy-going and is always smiling. Despite his sunshiny attitude I feel like he doesn't really show his true self much so as fans we don't really know that much about him and his personality. That face. 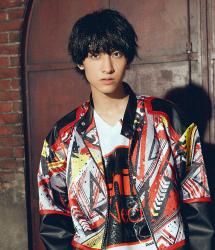 Koki is unquestionably one of the most handsome members of the group. 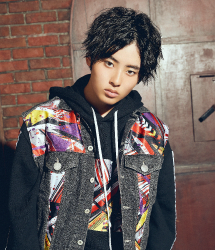 He seems to be one of the most popular members too and is very cool and confident in front of the camera. Probably one of the most silly members. He likes to be funny and make faces at the camera sometimes. 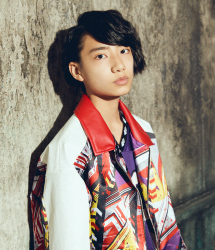 Like Koki, he seems very cool and confident in front of the camera. He has a great overall style (sorry Jean). I love his outfits and hairstyles and his ear piercing really suits him. Can be pretty funny when he's being silly with the other members. 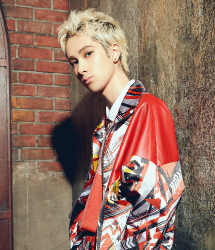 He has probably the most distinctive voice in the group. It's surprisingly deep. Can be fun and silly but also serious when needed. His adorable smile is only rivaled by Raku. The adorable baby of the group. He's very clingy with the other members, particularly Koki. Reo has even referred to him as his son. He seems a little shy and doesn't speak much, and when he does he's quite soft-spoken. He has a silly side though and likes to mess around with the other members. His playful giggling is infectious. SUPER★DRAGON just released their 4th single "SWEET DEVIL" on August 1st. Check out the music video below. 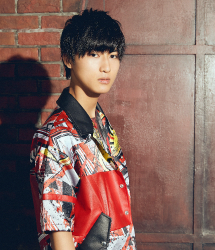 As an EBiDAN fan, I admittedly wasn't that interested in SUPER★DRAGON at first. I prefer groups with a more cute concept and I felt like Supadora tried a bit too hard to be "bad boys" when some of the members just didn't fit that concept at all. 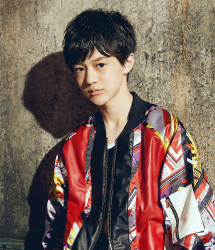 After getting to know the members a bit better through shows like EBiDAN Amigo though, I began to see all of their individual charms and how well they fit together as a group. They do have a good balance between being both "cute" and "cool" and I love how especially in some of their most recent songs such as "Get, Treasure, Journey" (which has a heavy reggae influence) they incorporate lots of different styles and genres and somehow it works without being too overbearing. What do you think of SUPER★DRAGON? Let me know in the comments!